Shelly Chavez has years of experience as a sales leader. She has worked with executive level clients in business-to-business sales for 15 years. Succeeding on behalf of her client’s goals provides the motivation to crave success. Her interest in the real estate market, passionate work ethic and love of succeeding for others, made this relationship no brainer for her. She has a great husband and son that she loves to spend time with. You will find her volunteering at the school, cheering for her son playing sports, walking the dogs, kayaking or gardening. She has a very “live in the moment” mentality with a “big picture” view, making the most of life. 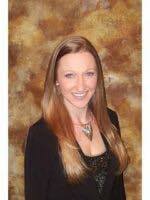 Working with Shelly Chavez, you will know that your path to buying or selling your home will be treated as her own. Whether finding the right buyer or the home of your dreams, she represents her clients handling every step with care. Working with Shelly Chavez you will receive best in class visibility to the market no matter which side of the real estate transaction you are on. Real estate representation is invaluable. If you are looking for someone with drive for your representation, you are at the right place!